Councils have emphatically snubbed communities secretary Eric Pickles’ £250m “bribe” to return to weekly rubbish collections, exclusive research confirms. A joint investigation by MRW and Jennie Rogers of askjennie.com, based on information from all 326 English collection authorities, provides the most wide-ranging analysis to date of bids to the Weekly Collection Support Scheme. Labour-run Stoke-on-Trent City Council’s bid proposes increasing collection for both its residual and recycling rounds from fortnightly to weekly for 88,231 households. An additional five authorities have bid for cash to support a return to weekly collections in areas where collections are challenging, such as flats, but will retain AWC for the majority of residents. 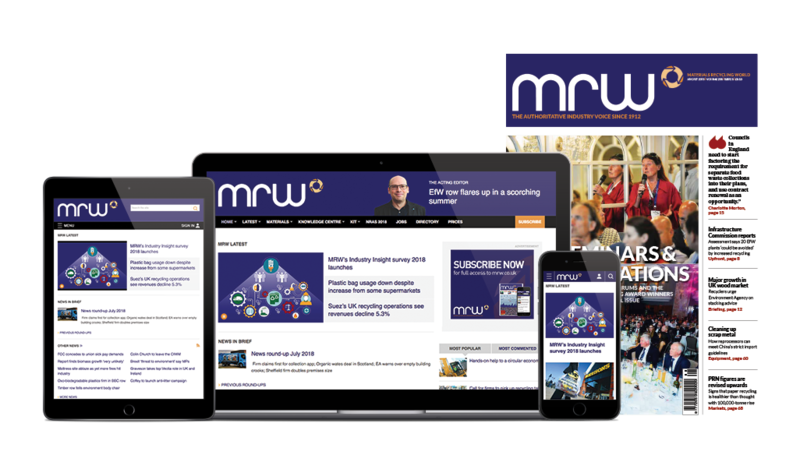 The findings comprehensively reinforce MRW’s July research, which was branded “wrong and inaccurate” by the Department for Communities and Local Government (DCLG). The focus will now be on Pickles, who is expected to announce which bids have been successful in October, possibly at the Conservative party conference. Rogers, an expert in local government and recycling services, said: “It comes as no surprise to me that all bar one of those councils which already have an AWC have opted to keep their service. A pledge to ditch AWCs was originally made by the Conservatives before the 2010 election but Pickles has stepped up the campaign over the last 12 months. He told the Daily Mail last September councils would have no excuse to retain “highly unpopular fortnightly schemes” following the introduction his heralded £250m fund. Waste policy experts have condemned the scheme as environmentally and economically regressive, including former WRAP official Phillip Ward who told MRW the fund represented a “bribe”. During the year, rhetoric around weekly ‘black bag’ collections has been replaced with talk of an increase in “weekly collections”. This shift opened the door for councils to use the fund as an opportunity to bolt on different recycling collections. A comprehensive analysis of bids can be found on MRW.co.uk/8636081.article - and you can explore our interactive map of local authorities that have bid to see what they have bid for. Cheshire West and Chester Council has launched England’s first nappy recycling service.